What my final consensus was on the first three Phantasm movies is that they do represent a spark of originality in a time of slasher movies, but they still weren’t free from their own set of flaws. Most of these flaws come from the pacing and the focus of the narrative, but there were also some problems with the development of characters and the acting. Surprisingly enough, the first direct to video entry, Phantasm III: Lord of the Dead was my favorite of the bunch. Now let’s take a look at the last two and see how the world Don Coscarelli built holds up. 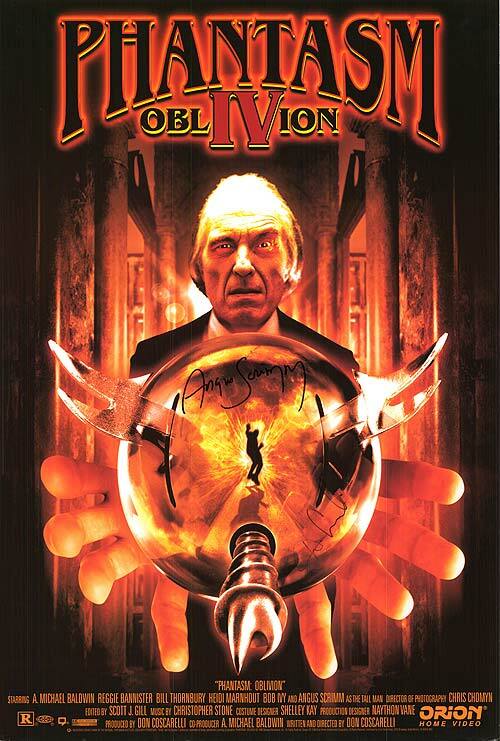 The fourth entry in the series, Phantasm IV: Oblivion, was released in 1998 and also sent direct to video. Taking place right where Phantasm III left off, Mike (A. Michael Baldwin) is on the run from the wrath of the Tall Man (Angus Scrimm). Meanwhile, Reggie (Reggie Bannister) is hot on his tail after being warned by the undead Jody (Bill Thornbury) that Mike will need all the help he can get. After the Tall Man leads Mike to Death Valley, the secrets of the Tall Man begin coming to light. Mike soon stumbles across a plethora of the Tall Man’s gateways, and he begins to travel through time to see just when the Tall Man came to be. What he finds is the story of a mortician living at the turn of the century who becomes madly obsessed with inter-dimensional and time travel. As Mike learns more of these origins, Reggie finally catches up with his friend and once again engage in a battle with the Tall Man and his horde of lurkers and spheres. Is it possible that Coscarelli could strike gold again with the second direct to video release in this series? Well, no, I wouldn’t say gold. Perhaps bronze or silver. 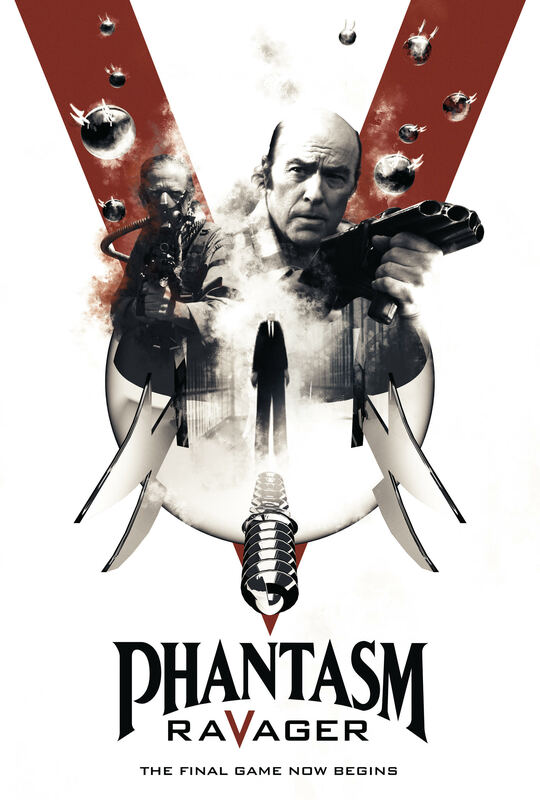 This is another relatively entertaining addition to the Phantasm universe and it does try to be something different from its predecessors which I really respect. For one thing, we actually see a larger picture of the the power the Tall Man has over time and space. This is way more of a science fiction film than it is a horror film at this point, even though the horror elements are never too far behind. Phantasm IV pushes the limit of the entire series in terms of storytelling and exposition, which is something that really had to happen at this point. It’s great to see what the Tall Man was versus what he turned into, and there are even some interesting twists along the way that feature all of the regulars of the series. This might be the entry with the most interesting story, if anything. What this movie does that reminded me more of the first two films is that it sometimes gets a little muddled in showing too much or slowing things down. There’s a chunk that’s not too far into the movie that I can only describe as a lot of walking. When Mike first arrives to Death Valley and begins exploring the different gateways, it does show a lot of really interesting stuff in terms of world building and long awaited character development. It just seems that Coscarelli was determined to show of footstep that Mike takes on his journey. It was just a little bit too drawn out, but honestly, that didn’t bother me all too much. It’s also great to see Reggie Bannister and Angus Scrimm again, but of course we do get some cringe worthy acting from A. Michael Baldwin and especially Bill Thornbury. Phantasm IV: Oblivion, along with its predecessors, are reminders of what makes this series so cool. They take the best parts of the first film and build on them to create a believable and cool sci-fi/horror world. There’s a lot of much needed exposition on who the Tall Man is and what his endgame is, and there’s also a deviation from the repetitive nature that the third movie suffered from. This is a worthy entry into the series, but it probably won’t convert anyone if you’ve haven’t had any interest in the series up to this point.. It would be 18 years before another Phantasm movie would be released, but after much anticipation, teasing, and idea changing the world finally got the final film in the series. This is Phantasm: Ravager. For decades, Reggie has been battling the fury of the Tall Man and the evils he has wrought upon the earth. After Reggie’s most recent encounter with the Tall Man, he finds himself waking up in the care of a nursing home where Mike tells him that he’s suffering from an onset of dementia. The confusion only gets more severe as Reggie begins finding himself both in the care of the nursing home, but also in a future where the world was completely overtaken by the Tall Man and his army of lurkers and sentinels. As Reggie continues to battle the Tall Man and his own mind, the lines of reality begin to blur. Not even this will stop Reggie and Mike from joining forces through time and putting an end to this evil once and for all. I really hate to say this, but Phantasm: Ravager is the bottom of the barrel in this series. It’s hardly even in the barrel at this point. What’s disappointing is that this movie has a promising start by throwing Reggie right into the action with a really fun scene on a desert highway. 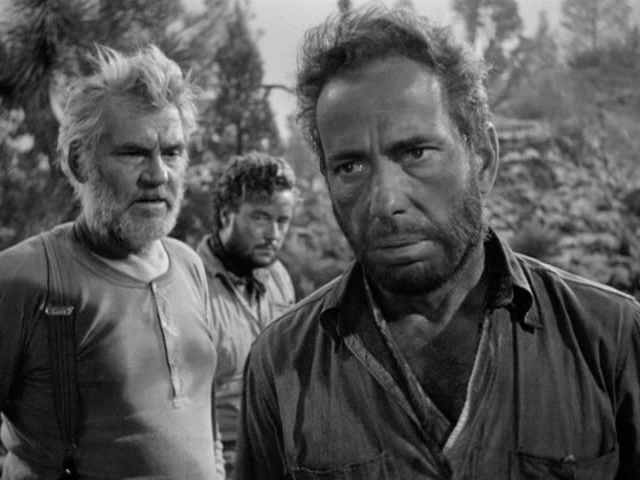 After that, the movie just sinks further and further into the mud, and not even the Tall Man’s usual shenanigans can pull it out. This movie tries really hard to be a puzzle movie and mess with the viewer’s mind instead of trying to coherently tell any kind of story. The only problem is that the puzzles they are presenting don’t seem to make any kind of sense and nothing is ever explained enough for me to even begin putting together what the hell is actually going on. What ends up happening is a series of scenes where Reggie and his companions are just running around in different times and places only to have the scene cut away right when things start to get remotely interesting. 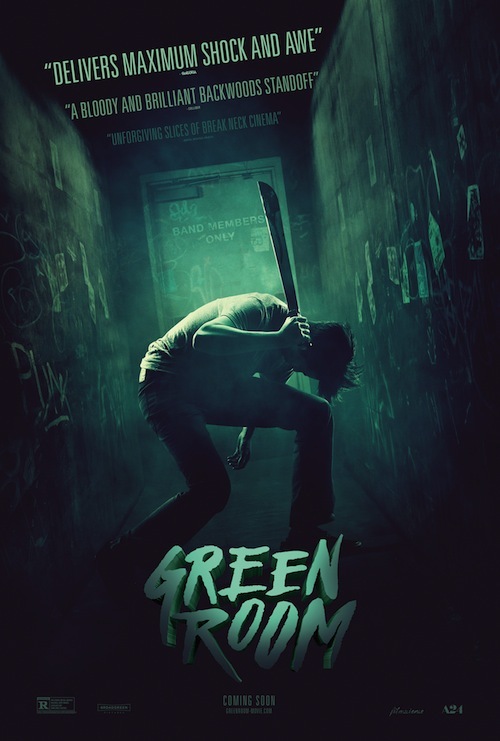 It’s clear that this movie doesn’t have too much of a high budget, but this has been proven to not be a detractions from horror movies given the right circumstances. The first Phantasm was put together very well for such a shoe string budget. Ravager, on the other hand, is a complete eye sore that just gets worse as it goes on. There are scenes in the future where the world is taken over by the Tall Man and even on the Tall Man’s red planet that is scene throughout the series. These mark the low points for the series in general The CGI is so bad I actually had to look away for some of the movie rather than subject myself to the computer generated vomit that was filling up my screen. It’s important to work with what you have when you’re making a movie, and these film makers (this entry is no directed by Coscarelli) are obviously in way over their heads. Phantasm: Ravager is by far the worst entry in the series, which is sad because there is some fun to be had seeing these actors return to these characters so many years later. Unfortunately, the story makes no kind of sense and the movie is damn near unwatchable due to some of the worst CGI I’ve ever seen mixed with camera work that is bland and unexciting. This film is a let down for fans of the series, and I really wanted to see some sort of closure to the series, but this is what it’s left with. Looking back on it, Phantasm IV: Oblivion gets better as I think about it. That one’s really the last good entry in the series before it all just goes down the drain with Phantasm: Ravager. All in all, this series is pretty interesting and definitely unique. While it may not provide the best horror experience, these films do offer a breath of fresh air and has become something of a small icon of the horror genre. If you’re a horror fan, this series is worth checking out. Watching a master working in his prime area is a joy to behold, so watching another horror movie written and directed by John Carpenter is always a lot of fun. Today, I want to look at his 1980 horror cult classic, The Fog, and it’s unfortunate 2005 remake. 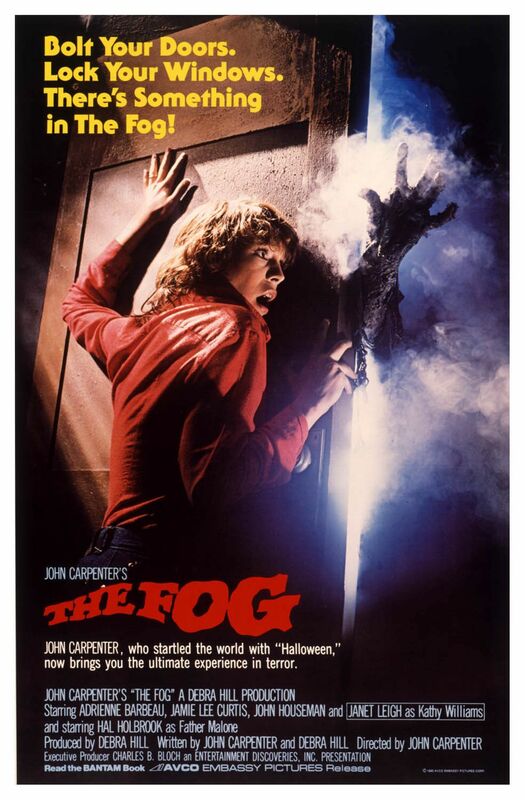 The history of The Fog is almost as interesting as the movie itself, with this being Carpenter’s horror follow up to his classic Halloween, but the way the story is told and the images he uses is what makes it a memorable movie. The same can’t really be said for the remake, but that isn’t all too surprising. With that, let’s dive right in. Let’s go back to 1980 and take a look at the original version of The Fog. It should be a time of happiness for the small coastal town of Antonio Bay, which is celebrating its 100th birthday with vigils and town parties. Unfortunately for the residents, an evil force is lurking just over the fog covered horizon. When a small ship is terrorized and its occupants murdered, the threat soon becomes more real. The only person who knows the truth is the town priest, Father Malone (Hal Holbrook). As the fog rolls further inland, more paranormal events start happening to the town, which prompts the town’s radio station host, Stevie Wayne (Adrienne Barbeau), to report on the direction the fog is moving as certain member of the town work to lift the curse that has befallen them. Following the overwhelming success of Carpenter’s independent hit Halloween, studios were eager to grab the talent (along with Carpenter’s co-writer and producer Debra Hill) and use it for themselves. That being said, The Fog is what I consider to be Carpenter and Hill’s true follow up to Halloween, and while it doesn’t quite stand up to that film’s excellence it still stands as a strong entry in Carpenter’s filmography. The biggest thing that drags this film down is the fact that it isn’t quite long enough. There’s a lot of time spent building up the mystery surrounding the town’s past and building up the cast of characters that not enough time is spent with the evil lurking in the fog. While this does act as a complaint, I will say that it also means the characters are much more three dimension than a lot in the horror genre of this time and it also gives the story a sense of urgency and depth. It’s worth noting the excellent cast of The Fog that brings the characters to life. Adrienne Barbeau, who was Carpenter’s wife at the time, is a good protagonist with an interesting task that makes her feel like more than just a target of the vengeful spirits. Hal Holbrook is great as Father Malone as he brings a real sense of fear to his archetypal character. Finally, it was cool to see both Janet Leigh and John Houseman have a small role in a John Carpenter film. The only person who seems underutilized in Jamie Lee Curtis, who doesn’t do a whole lot but tag along with Tom Atkins’ character. 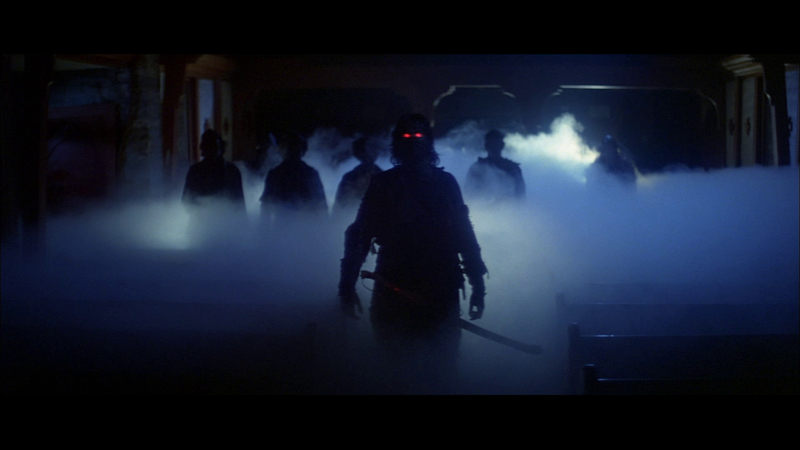 While The Fog certainly isn’t John Carpenter’s best film, it’s still become something of a cult icon. The men standing in the fog, or even the fog rolling in from the distance to the little town has become images seared in the history of the genre, and taps into some deep, dark fear that we all have. If more time was spent with what was in the fog and the actual horror that happens in the third act, this would have been a perfect little horror film. Unfortunately, more time is spent building all that up that the climax feels less than what it should have been. Still, this is a horror movie well worth checking out. 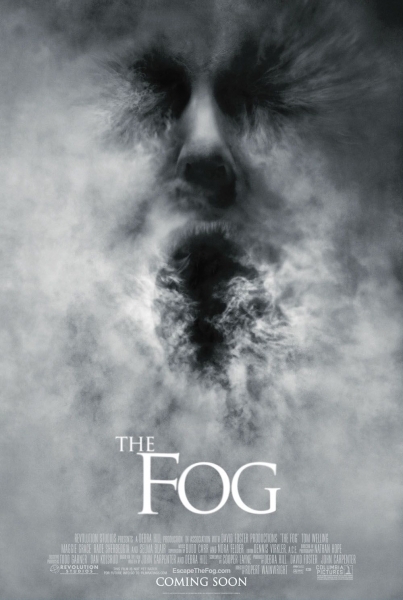 With the new millennium came the trend to remake both foreign and domestic horror movies, and 2005 finally brought the highly unanticipated remake of The Fog. Life never seems to get too difficult in the small Oregon town of Antonio Bay. It’s a peaceful town with a good tourist attraction and a close knit attitude where everyone seems to know each other. This easy going way of life quickly comes to an end when an impossibly large fog bank rolls in from the sea and beginnings killing people in the town and destroying property. This grabs the attention of Nick Castle (Tom Welling) and his girlfriend Elizabeth (Maggie Grace), who start an investigation as to what could have caused this kind of paranormal occurrence. It doesn’t take long to figure out that the town they live in has been cursed by bloodshed since it’s founding, and the victims of the founder’s violence are returning to seek their revenge and to reclaim what is rightfully theirs. In terms of story, the remake of The Fog follows the original pretty closely. The main plot about specters coming in the fog to reign terror down on Antonio Bay is all there, but this movie makes some very odd and, dare I say, stupid narrative decisions. At the beginning of the movie, a whole slew of characters are introduced, which led me to believe that they would all have something relevant to do at some point. Well that was just wishful thinking, because the only people that matter are Welling and Grace’s character, and to some extent Selma Blair’s, who plays this version’s Stevie Wayne, but even this character is left with very little to do and is easily forgotten by the end of the movie. That may be one of the hugest problems this movie suffers from. It’s almost as if the writers were just making stuff up as they went along and forgot about things they wrote earlier on in the screenplay. Speaking of screenplay, the writing for the characters is completely derivative, both in how they speak and the dimensions they are given. There was one weird joke in the beginning that got under my skin so bad because it’s the kind of joke that only that really annoying person you know says. This whole movie is made up of characters that I really don’t like saying the most asinine things with complete sincerity. The final thing I have to say about the writing is the ending, which I won’t spoil but have to mention. It’s a completely different ending from the original film, which is fine, but it also blew me away with how stupid and unplausible it was. It’s seriously something that has be seen to be believed. 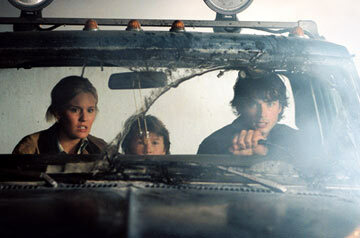 A bigger budget doesn’t necessarily make a better movie, and the 2005 version of The Fog is a perfect example. There’s obviously more money that was put into it, but the writing, the characters, and the acting were all so subpar the movie ended up just boring me to tears. I couldn’t take anything in this movie seriously, and that’s a big problem for a movie that’s meant to scare you. There’s to many jump scares and not enough actual fear. This is a waste of a movie and is best left to be forgotten. Just to recap, I can say wholeheartedly that any fan of the horror genre should at least take a look at the original version of The Fog. It plays out like a campfire story or old urban legend happening right in front of your eyes. As for the remake, don’t pay any attention to it. It isn’t worth it. There was a point in time when it seemed like Hollywood was just going to start remaking Japanese horror films instead of thinking up their own stuff. One of the more popular examples is 2004 film The Grudge, which is actually based off of a 2002 film Ju-On: The Grudge. The Ju-On series consists of five other films other than this one, but this is the more popular one, and the only one I will be reviewing as of right now. Ju-On is a strange, startlingly slow, and occasionally boring example of J-Horror that may not really be everyone’s cup of tea. When a volunteer house keeper, Rika (Megumi Okina), begins work for an elderly woman in a house with a violent past, she never thought she would be stepping into a world full of horror and death. Other than Rika, a handful of other people have been inside the house, which condemns them to the vengeance of two spirits inhabiting the house that were brutally murdered. One by one, the people who have associated themselves with the house begin being stalked and tormented by these spirits before they are ultimately killed. No one who has been in the house can solve the mystery before it is too late. The narrative of Ju-On: The Grudge is not like the American versions, despite both versions being directed by Takashi Shimizu. The Japanese version is strange, in that the story is told in episodic segments that are presented out of order. I didn’t expect this to happen at first, so I was completely lost for a little bit before I figured out that the order was completely messed up. Once I caught on, things began making sense and I started to have more fun with the film. This is actually a lot more difficult to piece together than a film like Pulp Fiction, because there are random jumps in time that are never explained and really forces the viewer to be paying attention to the timeline to keep with the pace. In terms of scare factor, well maybe I’m being a wuss here, but these movies have always freaked me out more than any other horror film. This is my first time seeing the Japanese version, but the American ones were not bad at all. Still, needing to sit through a movie with my two worst enemies (the two spirits) was fun. The sounds and movements of these ghosts are haunting, and made me not look forward to closing my eyes to go to sleep that night. I would be lying if I said I didn’t glance over at my stairs to check to see if there were any bloodshot eyes staring at me. The fact that these things just appear without any warning and mentally torment you until they kill you is way more than enough to make my skin crawl. That being said, there is a whole lot of nothing that happens in this movie. The scenes of dialogue or plot and character development are really not that special at all. The characters are pretty dull and aren’t memorable at all. The parts of the movie that are most enjoyable are when the movie tries to scare us, and that seems to work 95% of the time. Unfortunately, this is a 93 minute long movie, and it can’t all be scares. There has to be something of a plot, but this one is confusing and just plain boring. That’s really a lot of points taken off of Ju-On to the point where the whole experience is pretty much ruined. Ju-On: The Grudge will bore many a people, that is a fact. A fact that has been strengthened with how bored I was during a large portion of the movie. I still can’t deny how freaky and nerve wracking this movie can be. If it only kept a consistent level of horror and dread throughout the whole thing, I would consider this one of my favorite horror films of all time. Unfortunately, it is bogged down by a confusing story and characters who really don’t mean a thing. This is an important film for the genre, but it really isn’t the awesome film that a lot of people say that it is. Alfred Hitchcock was never a director to shy away from controversial themes. In fact he seemed to be obsessed with controversy, which is clearly present in what many people call his masterpiece, Vertigo. Filled with haunting color design, intriguing set pieces, and memorable finger biting scenes, The Master of Suspense shows once again why he was given that title. After a rooftop chase that ends in the death of an officer, John Ferguson (James Stewart) realizes his gripping acrophobia (fear of heights) which causes vertigo (dizziness and loss of balance). He decides to quit the force, but is roped back into another investigation by a friend from college who needs him to follow his wife, Madeleine (Kim Novak), and report her suspicious activities. John soon begins to fall in love with her, and after a tragic event, this love turns into a deep rooted obsession. Psycho featured graphic murder and Rear Window was a story about a peeping tom, both of which were new and controversial at the time. The themes of Vertigo make these last two films seem like child’s play. What is examined here is a strange necrophilic, psycho-sexual obsession that would make Stanley Kubrick as giddy as a school girl. This theme is never shoved down the viewer’s throat, however, and it is left up to them to decide how far they want to take the theme. Another brilliant aspect of this movie is the lighting design. Lighting is not easy, especially when it is heavily stylized and must succeed at creating some type of surreal mood. 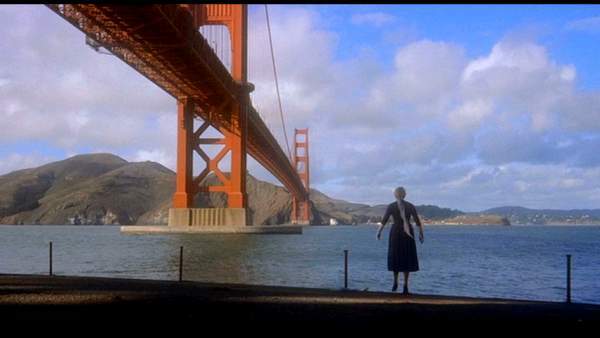 One of the most famous scenes of Vertigo has Kim Novak stepping out of this eerie neon green light after making a strange transformation in order to please John. It’s haunting and memorable. James Stewart steals the show with his almost trademarked nervous energy. His performance is totally genuine and I firmly believe that he was ahead of his time. Kim Novak’s performance is pretty weak compared to his and she sometimes over acts her pretty little head off. Barbara Bel Geddes offers some great scenes, however, as Ferguson’s best friend. While many people do say this is Hitchcock’s masterpiece, I’m still sticking with Rear Window as my favorite Hitchcock movie. 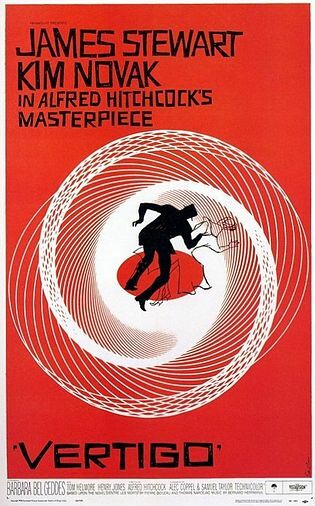 Vertigo is still a classic that is filled with fantastic performances, groundbreaking visual design, and themes that are still shocking today. 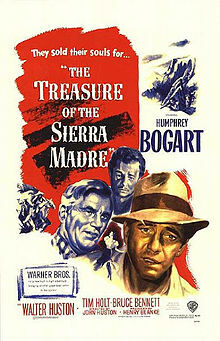 This is a movie that should be required viewing. David Lynch is one of my favorite directors of all time and a huge influence for me. He is the writer/director of films such as Mulholland Drive, Lost Highway, and Blue Velvet to name a few. He is also the creator of the cult classic television show, Twin Peaks. 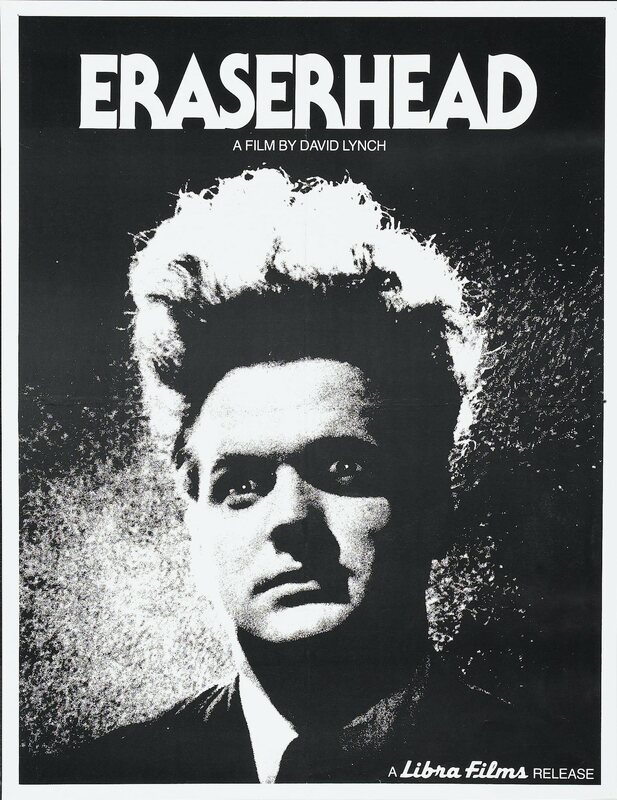 Every great director has their start somewhere, and David Lynch’s was with his 1977 surrealist film, Eraserhead. 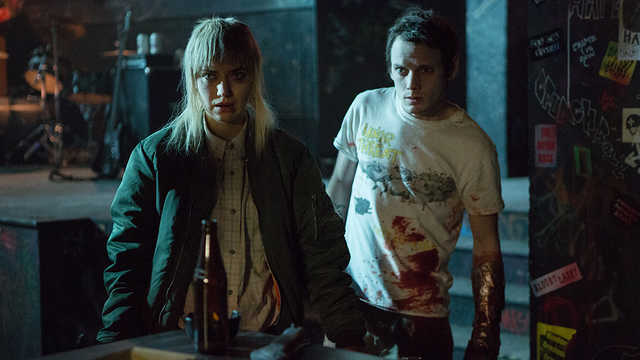 Henry Spencer (Jack Nance) is a quiet man who is trying to survive in an industrial wasteland where even a walk home from the grocery store is dangerous. Life for Henry gets even more complicated when his girlfriend, Mary X (Charlotte Stewart) gives birth to his mutant child, born with a small head, a pencil-like neck, and no arms or legs. Night after night, Henry is forced to listen to this baby cry nonstop, with only the Woman in the Radiator (Laurel Near) to give him comfort through song and the Beautiful Girl Across the Hall (Judith Ann Roberts) to satisfy his sexual fantasies. I knew that this was going to be a strange movie because of my past experience with the twisted stories of David Lynch. Everything I’ve seen by him so far is far from normal, but Eraserhead is so distanced from reality that I was left speechless. The best way I can describe this movie for anyone who hasn’t seen it is that it is the equivalent of a live action nightmare. Things happen that aren’t explained, but are horrifying. Images are warped to the point of being terrifying. And, of course, darkness hides our fears leaving the worst to our imaginations. An interesting about the filming of Eraserhead was that it was done periodically over the course of five years due to funding and technical issues. There is one scene that I need to look for next time I watch it where Jack Nance opens the door and you can actually see how he aged when the door opens. I also read that Nance kept his hair the same for those 5 years. Not so easy with hair like that. Back to the aesthetics of the movie, I’d like to talk about a major part of this movie: the lighting. A lot of the cinematography is done in the noir style, filling the screen with intense whites and blacks. The lighting is rarely soft, with hard light the accentuates what the audience should be looking at or to reveal every detail of a subject. This works well for the movie, as I said before, by hiding a lot of what is seemingly frightening. There is one scene in particular at the end where the lights are flickering on and off, and what we are trying to see in truly unbelievable. Almost, if not equally, as important is the sound design. There isn’t a whole lot of talking in this film, so the sound has to be done right in order to keep the viewer interested. Luckily, Lynch has created a haunting ambient soundtrack that is guaranteed to send shivers down spines. It’s hard to comment on the acting since there isn’t much talking and the actions aren’t done in the silent era kind of way, but more downplayed. I can say that Nance is perfect for Henry, and plays him with both love and fear. Surrealism isn’t for everyone which is totally understandable. Many people have given their interpretations, but David Lynch says he hasn’t heard a correct one yet. I, personally, view it as a growing fear against parenthood, especially when unexpected and unprepared, but there is so much more to this movie than that. That being said, this Eraserhead requires many, many viewings before (if) it can be understood. This is one of my new favorite movies and, to anyone brave enough, I recommend it.